Our Professionally tied leaders both serve a purpose at Pyramid Lake and other Stillwater fisheries as well. 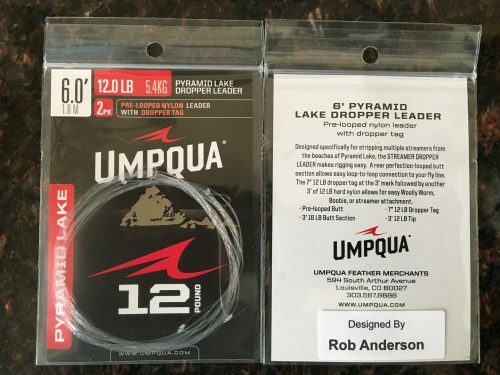 The Streamer Leader has been tied and sold to Pyramid anglers for over 40 years. 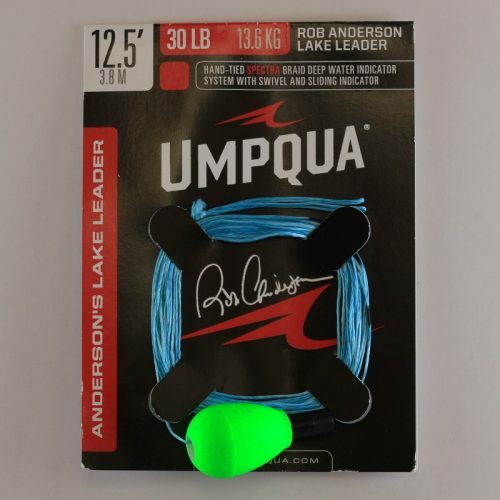 Our version incorporates only the best Umpqua Tippet. 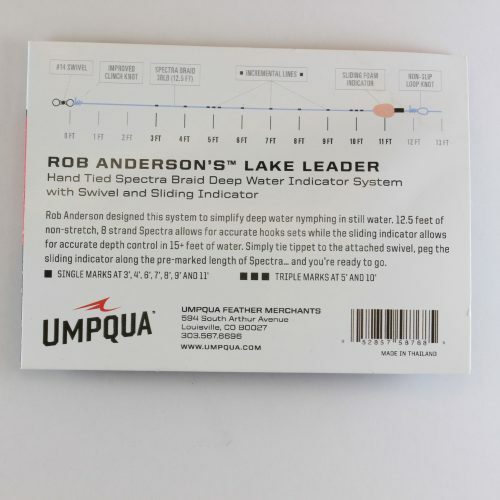 The Indicator Leader is a break away indicator system for fishing flies under an indicator in deep water. 10-20 feet deep.